Get the latest reviews, buying advice, and price quote information of the 2016 BMW 6 Series by visiting Budds’ BMW. The 6 Series is a full-size luxury grand tourer manufactured, designed, and marketed by the renowned German automaker BMW. It was released in 1976 as a successor to the E23 model. 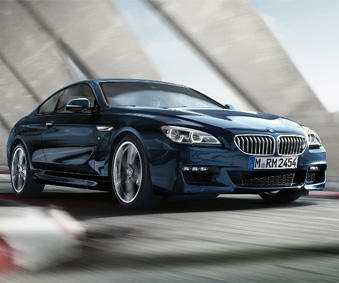 Currently, in its third generation, BMW has introduced the 2016 model of its 6 Series. The vehicle has undergone significant style and technology changes from the past year and now features a sporty, yet practical appearance with stunning acceleration and top speed. The 2016 BMW 6 Series features a powerful 3.0 Liter Twin-Turbocharged Six-Cylinder Engine that is rated at 300 horsepower and 330 lb-ft of torque, with a mileage of 20 MPG in the city and 31 on the highway. The performance of the 6 Series is impressive and with the amazing torque and power, the vehicle is a viciously fast machine. In fact, the vehicle can zoom from zero to 60 mph within 5 seconds. Although top speed is electronically limited to 155 mph, stability control modes, unique m-specific traction, m-tuned suspension, and launch control features increase acceleration significantly. The 2016 BMW 6 Series is available in a range of body styles, including coupe, convertible, and sedan. However, even in all its forms, the vehicle perfectly exudes luxury and confidence with elegant curves and profiles, athletic stances and aerodynamic body. BMW has enhanced the overall sporty look of the car by adding new kidney grilles (flanked by aggressive wide air inlets and headlights), front fog lamps, flared fenders, and large alloy wheels. The vehicle is as comfortable and luxurious as ever. Of course, the interior is slightly similar across the range, but it successfully manages to exude a perfect businesslike starkness. In fact, the new muted palette added to the interior gives a rich and fresh look that other models don’t offer. Apart from this, a new control layout and design has also been installed, with an iDrive Display. Trim packages can add more brightness and warmth to the interior. The 2016 BMW 6 Series is packed with a range of safety features. Standard equipment includes anti-lock brakes, automatic brake drying, brake control, cornering brake control, traction control, start-off assistance and advanced dynamic stability control. Available features include night vision cameras, adaptive LED headlights, Head-up Display (HUD), bling spot mirrors, lane departure warning, and city collision mitigation. If you are looking for a vehicle that guarantees maximum style, comfort, and luxury, without compromising on performance and durability, the BMW 6 Series is definitely worth buying. You can visit Budds’ BMW for buying or taking the vehicle out for a test drive. For more information, buying advice, and accessories prices, you can contact Budds’ BMW here.